Welcome to DampBasements.com - your Basement Specialists™. Whether you have a: damp wet basement, cracked foundation, drain water problems, sinking foundation, or sewage backup, Basement Technologies® can help solve your basement issues. 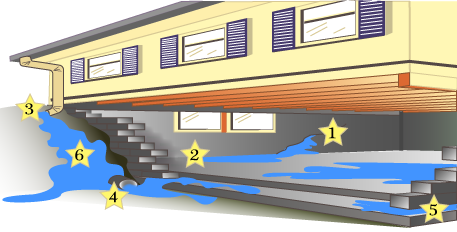 These are the six most common ways for water to enter your home. We specialize in solving all of these problems to protect your home. 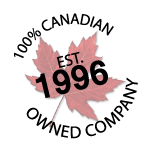 When you have your basement waterproofed by Basement Technologies®, you will have the peace of mind resulting from knowing that it was done right. This is why we were featured twice with Mike Holmes on – Holmes on Homes™ as a company that gets it right the first time. Warranties ranging from 15-25 years, guaranteed! Building permits pulled on required BASEMENT WATERPROOFING projects! Building permits pulled on required BASEMENT FOUNDATION repairs!